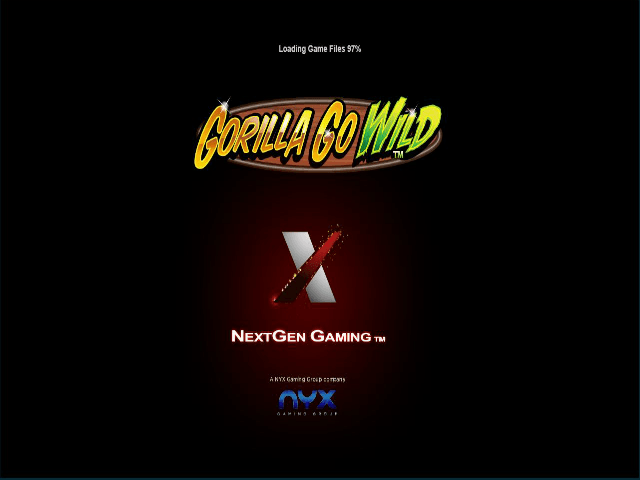 If quirky online slots are your thing and you value entertainment just as highly as profit, then NextGen's Gorilla Go Wild is for you. 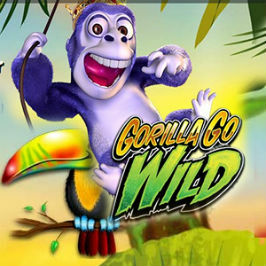 Featuring a combination of live action beasts, animated symbols and plenty of ways to win, the Gorilla Go Wild slot game is perfect for players of all persuasions. In fact, Gorilla Go Wild has become something of an industry classic over the last few years and that's why we've decided to cast our critical eye over it. Breaking down its finest features and offering a few reasons why you should play, our Gorilla Go Wild guide should help you understand why this game is the king of the spinners. Perhaps the most endearing aspect of Gorilla Go Wild is its focus on the characters. The basis of the game, as you'd expect, is the jungle and its mighty gorilla, which is made clear by the live action primate sitting beside the reels. Blurring the lines between background and foreground as well as adding some more depth to proceedings, the living, breathing gorilla is a prime example of how to incorporate incredible graphics and a solid theme into this type of slot game. 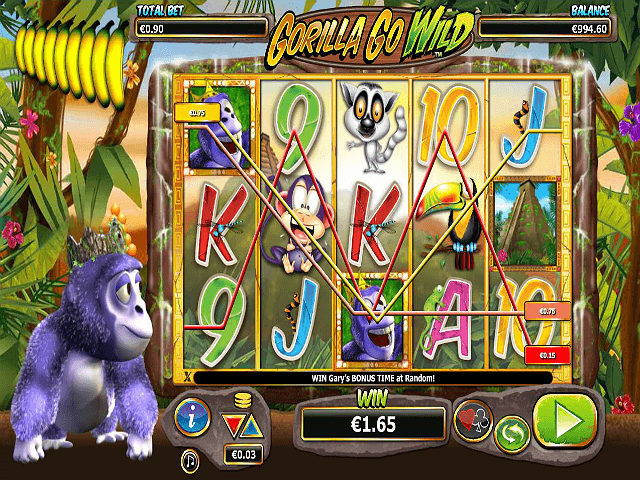 Gorilla Go Wild is a video slot that goes beyond the norm. Thanks to the design team at NextGen HQ, the game feels truly immersive. The characters even have the ability to cross over from the reels to the background and the back again all while you spin. Naturally, a video slot can't just focus on images and animations to make it great, but when it comes to style, Gorilla Go Wild is certainly up there with the best in the business. 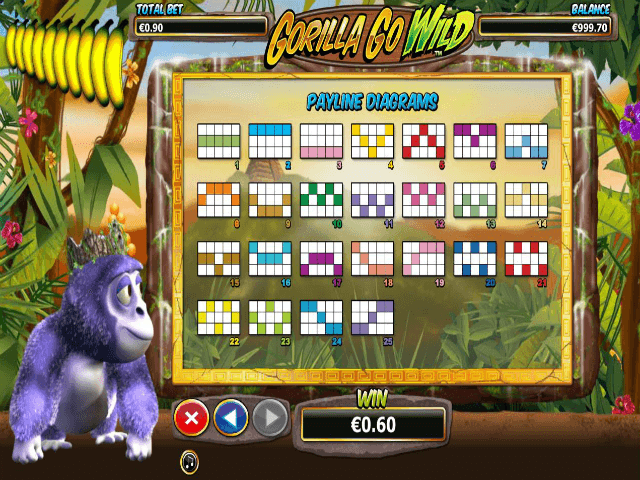 In terms of betting specifics, Gorilla Go Wild is made up of five reels and 25 paylines. To power the game and spark the jungle creatures into life you'll have to set your bets from £0.25 to the max bet of £50 per spin. When you do this, the payout table starts off with card symbols ranging from 9 to Ace, before lemurs, toucans and monkeys join the mix on your way to the jackpot symbol: Gary the Gorilla. 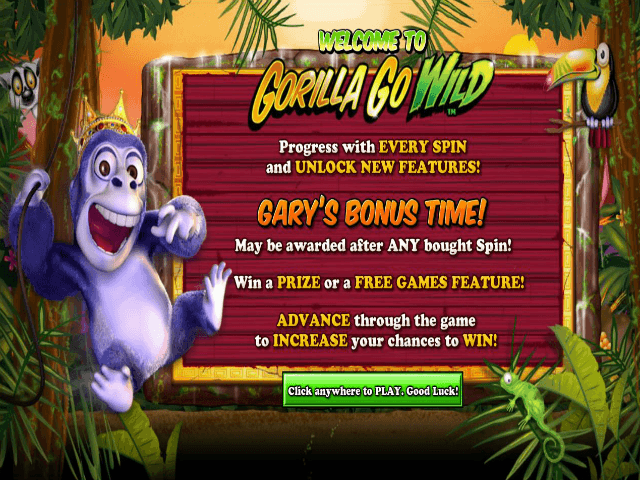 If rolling in a jackpot worth 1,250 coins isn't enough, the Gorilla Go Wild slot game also has two unique bonus features unlocked through a combination of scatters and wilds. Win Spins = Here you'll get ten free spins plus a 2x multiplier and the chance to retrigger. Stay Wild = Here you'll get ten free spins plus sticky wilds throughout the bonus round. Mega-Rilla Multiplier = Here you'll start with a 1x multiplier that will gradually increase up to 10x for every wild that appears during the bonus round. More Wilds = Here you'll get ten free spins and three random symbols that turn into wilds for increased wins. As you can see, this online slot has just as much cash as it does colour. If you're willing to swing (or spin) through the jungle and take advantage of NextGen's Evolving Gameplay function, there are plenty of ways to win when you play the Gorilla Go Wild. If you like Gorilla Go Wild - You'll like these slots too!